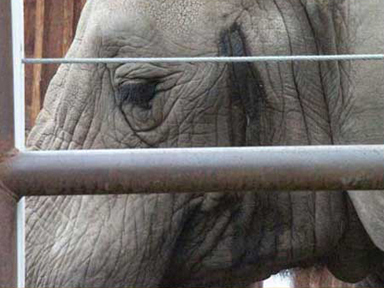 There is developing news surrounding Maggie the elephant. After weeks of protest, debate and global attention, Anchorage's most beloved elephant may be heading south. The decision was announced Wednesday evening by the Anchorage Zoo's board. While they did agree it was time for Maggie to find a warmer and more suitable home, they stopped short of saying it was a done deal. They say it's essential that a list of criteria be met before she travels. As you may recall, this vote comes after the popular pachyderm could not get back on her feet on two separate occasions, requiring the help of the fire department and a tow company. world wide attention. There were some saying leave her in Alaska, others saying send her south to a more elephant-friendly environment. First, the staff and board will determine the relocation options. Secondly, they are requiring two health evaluations from Outside vets to ensure she is fit for travel. Thirdly, they are still investigating how to get Maggie to and from the plane to her new home. They say they are taking the advice of an expert and say air travel is the only acceptable mode to get her to the Lower 48. And finally, they are selecting a group of experts to help in all aspects of her move and acquiring a crate for her transport. As you can imagine, the cost to move Maggie won't come cheap. But at this time, the zoo board tells us they can't even give a reliable estimate until more information is received. They did say they are committed to expediting a move once those four criteria are met. To contact Laura, call 907-273-3186.